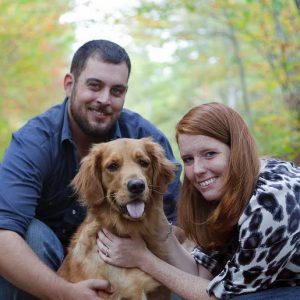 Hi, my name is Jenn and I am a blogger from Ontario, Canada where I live with my husband Dan and our black lab Mia. I enjoy reading, knitting, gardening, colouring and watching Gilmore Girls in my spare time, as well as working on house renovations with Dan. Since starting our fertility journey in 2010, we have gone through four early losses and five treatment cycles with a fertility clinic. After 6 years, we have decided to end our journey to a biological child and are now starting the down the road of adoption. I blog about life, loss, infertility and adoption. 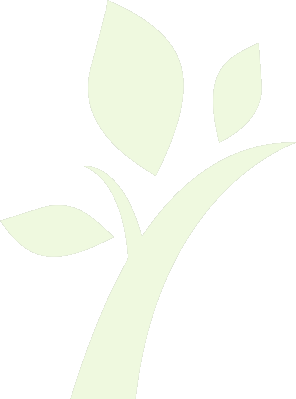 Dr. Samina Mitha, ND is a licensed Naturopathic Doctor that supports fertility patients. She completed her Doctor of Naturopathy Degree at the Canadian College of Naturopathic Medicine. 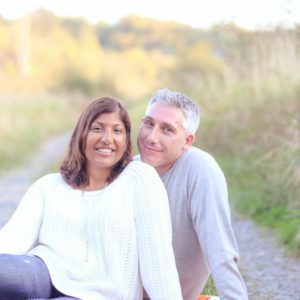 Through her previous work for an online health promotion company called Everyday Health in New York City, Samina realized her true passion of helping people one-on-one to achieve their optimal health potential and heal naturally. 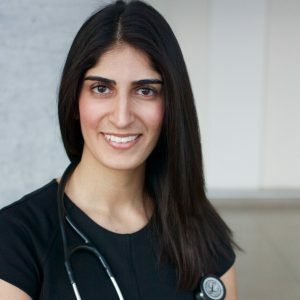 Having been diagnosed with Polycystic Ovarian Syndrome (PCOS), Dr. Samina, ND has a personal connection with women who experience hormonal imbalances. 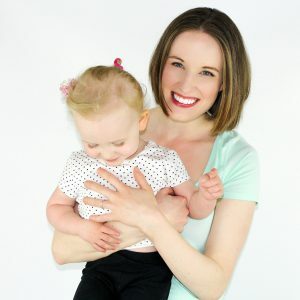 She has witnessed the tremendous success naturopathic medicine can have on women with fertility challenges and is motivated to share her knowledge and expertise in this field. She has a special interest in fertility management and reproductive health. In her clinical work, Samina has supported and treated patients with PCOS, endometriosis, fibroids, and IVF/IUI/ICSI processes. 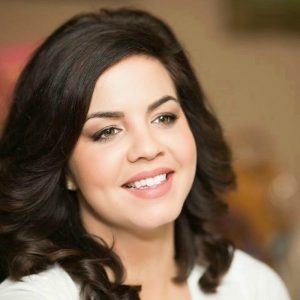 Dr. Samina, ND currently maintains a blog where she shares her PCOS journey, which includes recipes and health articles. In her spare time, Samina loves to knit, create homemade natural beauty products and be outdoors in nature! Hello! My name is Katie and I was born in Quebec but now home is the beautiful Okanagan Valley where I live with my husband, Rick and our two cats. In 2012, I was diagnosed with PCOS and since then we have come face to face with the harsh realities of struggling with fertility and loss. 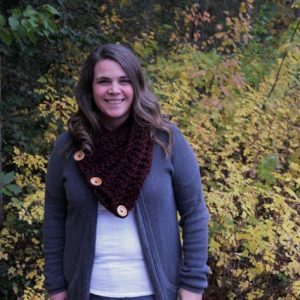 In my spare time you will most often find me crocheting but I also enjoy a variety of other crafty things like colouring, lettering, scrapbooking and more. I love coffee, trying new recipes, playing board games and spending time with friends. I blog about PCOS, struggling with fertility and loss with the hope to raise awareness and reach out to others through compassion, understanding and humour. Though this is not where I expected life to lead, I am incredibly thankful for the support I have received and the opportunity to share with others and their experiences. 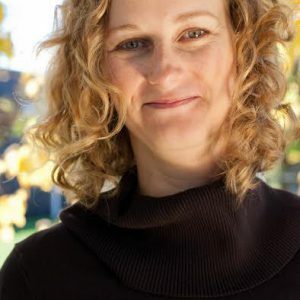 Michelle Kapler R.Ac is a Registered Acupuncturist and Herbalist. She focuses her practice exclusively in fertility, pregnancy and maternal health. 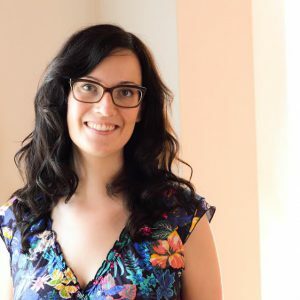 She is passionate about helping women to achieve hormonal balance, pleasant periods, successful conception and healthy pregnancies, with acupuncture, herbal medicine and food. When she is not at work, you can find Michelle hanging out with her husband Peter and daughter Leah – making delicious meals from their backyard veggie garden – shucking and eating oysters – watching baseball – and attending epic family snuggle parties. Hi, I’m Riva. I’m from Toronto, Canada. I met my husband there 11 years ago. We’re both in the entertainment industry and split our time between Toronto and Los Angeles. We haven’t shared much about our fertility struggles, but it feels about time. We’ve been trying to conceive since 2012. We’ve done it all- IUI’s, 3 rounds of IVF, fertility clinics in Canada and the U.S., Chinese medicine and Acupuncture, Immunologists and PGS testing. We’ve been pregnant 3 times but never made it past our first ultrasound. We have unexplained infertility. Realizing the plan I had for my life is going a little differently than I expected, I’ve been looking back hoping it’ll help me come to terms with where I’ve been and where to go from here. I’ve been writing a memoir and blogging about my journey. I’m Cindy, and if you tell me that my infertility “happened for a reason”, I will mentally punch you in the face. After four years of unsuccessful trying, including bouts of Clomid, IUIs, and one heartbreaking IVF treatment, my amazingly supportive husband and I decided we could no longer invest all our emotional and financial capital in the gamble of fertility treatments. After two years of grappling with the grief with the aid of antidepressants, counselling, health transformations, and a major move across the country, we decided to look into foster parenting and adoption. We are currently loving and adoring a foster baby, and we look forward to seeing where this journey takes us. I try to share my moments of growth and unsolicited thoughts from time to time. Hi my name is Sarah and I am a 36 year old originally from Ontario, now residing in British Columbia with my fiancé Ryan, our dog Bruin, and our cat Tabitha. In my free time I enjoy barre fitness, hiking, reading, baking, and sports. Since beginning our fertility journey in 2016 we have gone through 3 unsuccessful IUIs, and a round of IVF which ended in pregnancy that did not last. Currently we are doing a 3 month prep before starting our next round of IVF. I have so many supportive people in my life that I am thankful for, as well as the opportunity to share my journey and learn about others. Hi! Michelle from Toronto, Canada here. Never did we imagine, when my husband Shawn and I started trying to conceive our little babe nearly 4 and a half years ago, that we would still be waiting to be parents. In August of 2016, we started our assisted fertility journey and while there have been some bumps in the road, we are both looking forward to what 2017 has to bring. I am a corporate law clerk by day but in my spare time, you can usually find me on my yoga mat, hanging with our two dogs (Carlin and Hunter) or in the kitchen concocting happy healthy meals. My hope by going public about our struggle is to help other people relate to what it’s really like going through all of this. Much love. Hola, Amanda here. I was born and raised in a small town in rural Central Ontario (aka the boonies, redneck country, etc.). I now live the west coast life in BC with my Hubby, Cameron and fur baby, Onyx. Cam and I met 5 years ago and have been married 3 years in July. We love Netflix, which doesn’t often lead to “chill”, spending time with our nephews and fur baby, adventuring outdoors, watching hockey, and so much more. To the average person we may seem young to have infertility problems (him 28 and me 26), but we have been on this journey for the last 3.5 years. Our journey began with my diagnosis of PCOS, and a later diagnosis of male infertility to top it off. 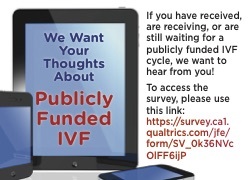 We have had 5 rounds of controlled ovarian stimulation (1x Clomid, 4x Femara), 1 round of IUI, and have now been told we must journey to IVF. This journey is taxing on us as a couple and as individuals, I mean really how could it not be, am I right?! 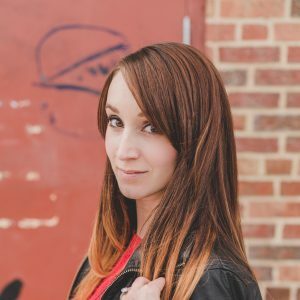 I blog about my life and journey to raise awareness about infertility, pregnancy loss, and if I’m being honest, to stay sane on this crazy ride. The road is often long and lonely, but it doesn’t have to be! I would love to hear about your journey and invite you to follow along mine through my blog! Hi, I’m Brittenay, from Halifax, Nova Scotia. I have been happily married for almost 4 years and I couldn’t imagine a better person than my husband, Aaron, to share this crazy journey through life. We share our home with a Golden Retriever who thinks he’s a tiny human, and 2 cats. The last three and a half years haven’t been exactly easy. I lost my mom to cancer, had a miscarriage, have been diagnosed with PCOS, and my husband was deployed with the Canadian Navy. I started to “come out” about my infertility by sharing a post here and there on facebook. Then it became my outlet. I have never been ashamed of what we’re going through. In all honesty, our battle with infertility has made my husband and I stronger and closer. But most importantly it has made me want to advocate for the women who aren’t yet ready to leave the infertility and miscarriage closet. That’s when I started my own blog. It was so cathartic to just let the words and emotions flow out. I want to normalize the struggle! It’s not something to be ashamed of, it’s something to embrace. There’s a quote that I truly relate to, it goes “The struggle is part of the story.” Without this journey, I don’t know who I would be. Chad Nelson is the author of the blog “Knocked Down” and is a full-time HR professional and husband from Edmonton, Alberta. In his spare time he is a part-time student, part-time carpenter, part-time professional resume writer, part-time volunteer, part-time blogger, who although is clearly capable of many things, is not capable of fathering a child naturally. He started blogging as an outlet, but realized that his own experiences may serve to help others with similar struggles, particularly by offering the male perspective when it comes to infertility challenges. Chad and his wife are currently completing their first round of IVF/ICSI and remain optimistic that they will reach their ultimate goal. In the mean time, they continue to practice their parenting skills on their suicidal chocolate-lab, Ruger, who remains intent on eating things he shouldn’t. Meghan is a full-time Kindergarten teacher and part-time daydreamer. She lives in Cowichan Bay, BC with her husband. Their relationship blossomed in awkward teenage style as high school sweethearts and they have been together now for 11 years. They have been undergoing infertility treatments for the last two years and just completed their first round of IVF with a donor. Meghan enjoys reading, writing, hiking and binge watching Netflix in her free time. She is immensely grateful for the supportive people in her life and hopes to encourage others with her writing! 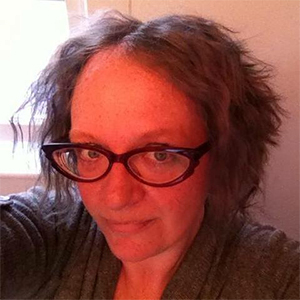 Cheryl is a passionate writer and advocate located in Toronto, Ontario. 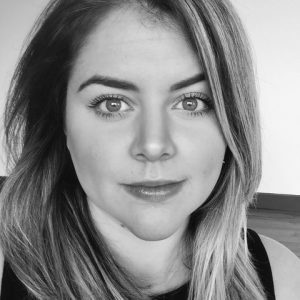 Her special interest in women’s issues, background in counselling, post-secondary education, and years of infertility treatments, have inspired her to write about her experiences, educate others, and spread social awareness about infertility. 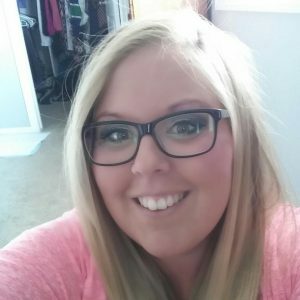 With an early diagnosis of endometriosis and PCOS, her journey has led to multiple rounds of IVF, which has included many ups, downs, losses and heartaches. Cheryl’s always eager to get involved, connect with others, and share candid moments along the way. When she’s not working, you can find her enjoying the outdoors or baking with her husband and two small children. Though would be preferred to be called ‘Mom’ by this point, Jamie will suffice for now! Born and raised in a Northern Ontario community I met my partner 7 years ago when he imported himself from the east coast. We are fairly new on our infertility journey, as we have been diagnosed as “unexplained”. We do have to travel over 700 km for treatments due to our location. We are currently on our journey to our first IVF session, and though I would not call myself a blogger, I have been writing for 2 years about infertility for my own therapy, and recently began posting. I’m hoping to connect with others, the way reading others writings has helped me. I enjoy writing about the humour and reflection of each obstacle this journey has brought on (after the tears and chips of course). We also own two lovely dogs, who, if they do discover how to read and access internet, would be highly upset we did not mention them. Welcome reader! I’m Catherine and you’ll find me residing in Edmonton, Alberta. My husband and I have been trying to create a family since 2016. In January 2018 we found out that we were one of those REALLY lucky couples who have male and female factor infertility (#overachievers). Since then we have been pursuing IVF and adoption and both roads have been fraught with obstacles. How will we make our family happen? Adoption? IVF? Miraculous conception? Giving up and rescuing 7 more dogs? Your guess is as good as mine. I work in mental health, so silence and stigma are my mortal enemies. It just made sense to start blogging and be open about my personal struggle with infertility. There are many people who travel this road privately for lots of great reasons and I respect that choice completely. With that in mind, I hope my incessant shouting from rooftops about infertility will let them know that they aren’t alone and that what they’re feeling is okay. 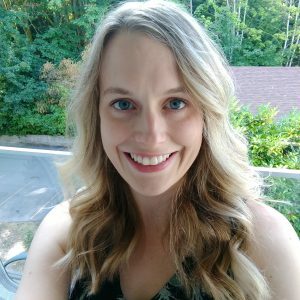 When I’m not blogging or working I enjoy spending time with my husband and friends, playing with my two dogs, checking out Edmonton’s many vegetarian restaurants, going to music festivals, hiking, camping, travelling, and just literally anything where I get to be outdoors (in the summer). Hello! I’m Brooke. I am crazy in love with my husband Chris. We live in Ontario with our handsome but very hairy newfie/lab Spartacus. We love the sun and live a pretty active lifestyle- We golf, workout, wakeboard and pretty much enjoy anything that involves being outside. Oh- and I love wine too. Can’t leave that out. Our fertility journey has been a bit nuts (but whose isn’t?!). In 3 years, we’ve done 2 failed IVF cycles and 13 failed IUIs. We have been pregnant twice, however one turned out to be a molar pregnancy and the other ended in a twin stillbirth. Since I have Diminished Ovarian Reserve, we have decided now to take the next step and move on to donor eggs. My blog is a bare bones, no filter look at the reality of going through infertility. It started as a way for me to maintain my sanity and say whatever I wanted with no judgement. It continues to be a great outlet for me, and has also developed into a way to spread awareness and truth about infertility and loss, and to help others and their families try to navigate through this infertility craziness. 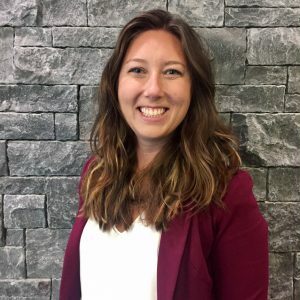 Alyson is a Registered Massage Therapist in Ottawa, Ontario and has been in fertility treatment since 2014. 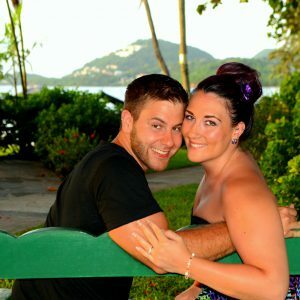 Her and her fiancé are originally from the Thousand Islands but are growing their careers in Ottawa. 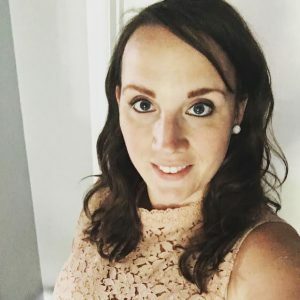 Alyson was diagnosed with PCOS as a teenager and struggled for over 10 years with irregular cycles, anovulation and all the symptoms that come with it. 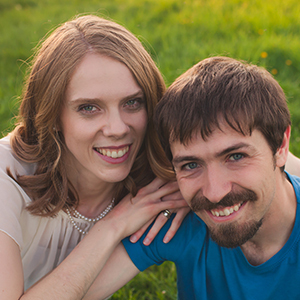 In their mid 20’s, Alyson and Mike tried everything to conceive with the help of the Ottawa Fertility Clinic (OFC), and on their own. With PCOS, a blocked tube, and a lack of ovulation, they were fighting an uphill battle. She completed her first IVF/ICSI cycle out of pocket in 2014. After a lucky, successful round of IVF, they now have a wonderful 3 year old little girl. 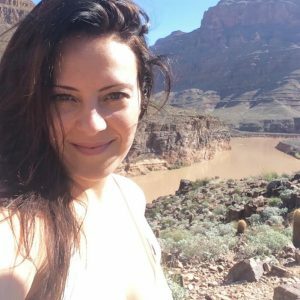 Alyson started an honest, unfiltered blog for their family and close friends to understand what they were going through. 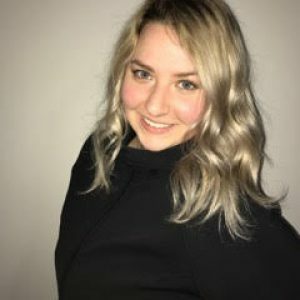 Alyson has always left an open door and been public about her struggles in hopes to help and connect with other people going through the process. Since their IVF cycle, they have had a failed FET and have no more frozen embryo’s. Alyson and Mike are hoping to complete their family and got on the funded IVF waitlist July 2017. Hi! My name is Ginette LaVoie and I am a prairie girl, born and raised in Saskatchewan. I am married to Darren and with him came two amazing stepdaughters whom I love with my whole heart. I would almost say we are unique in our situation and have a bond for which I am forever grateful. I also have two furbabies (Rider and Archie) who are just as much trouble but add a ton of fun to our love-filled (sometimes chaotic) household! 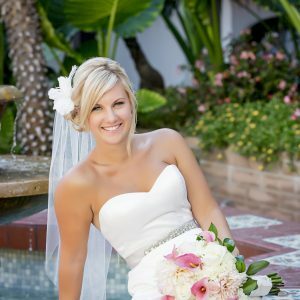 My husband, Darren, and I got married on April 4, 2015 and I always joked that I wanted to be pregnant by April 5. Funny how life has a way of royally messing with your plans hey? Fast-forward 3 years later and after both of us being poked and prodded and other things I won’t mention, we sit here with no children made up of BOTH of our genetic DNA. To say it has been a struggle was an understatement. I was stuck on the “why me?” pity train and then it hit me one day – I believe I was meant to share our story with whoever would listen! And so was born (no pun intended there) “The Missed Conception”. I created my Facebook page where I share the raw ins and outs of the beast of infertility. I really believe I was meant to put it out there for the world to read, so others know they’re totally normal in their thoughts (yes, even the bad ones!). Every situation is unique and they’re all hard as hell! My goal with all of this is not only for me, but also for you. I hope in reading my blog, you are able to have a chuckle, a cry, but most of all, I hope you find solace – solace in the fact that being #1in6 is not synonymous with being alone. Hey everyone, it’s me Fairen. 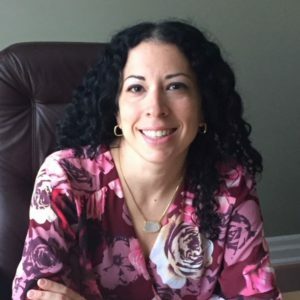 Let’s tell you a bit about myself: I am a Registered Nurse who has specialized in Oncology and am currently working as a Radiation & Chemotherapy Nurse at the SMRCP in Barrie, Ontario. I became passionate about oncology nursing after losing my father to cancer when I was 18 years old. I am the eldest sibling of 3 girls. I am a huge movie buff, very social, have bright purple hair, enjoy playing video games in my spare time & painting, love to travel (I have walked a few red carpets in Hollywood ), love cuddling my kitty and spending time with my amazing hubby, friends & family. I live with my husband Mike, four years married but been together for 14 years now, and our 11 year old cat named Roxie. We upgraded and bought ourselves a larger 4 bedroom home in a great school district back in 2015 with the hopes of filling it but unfortunately haven’t been able to as of yet. 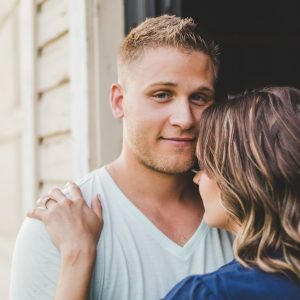 My husband and I have been struggling with infertility for almost 4 years now as I was diagnosed with low ovarian reserve and poor egg quality. I am 30 years old. I have never been pregnant but we have not given up. We currently have tried Fumera, cycle monitoring, IUI’s, and are on our third attempt at IVF with ICSI. I recently opened up about our struggles and our journey and started a blog which has been very therapeutic. Hi! I’m Vidya. My story is a long one. It begins with marriage to a pretty great guy, and the innocent decision to make a baby. It took 2 years to conceive my amazing son, and we have since been trying to give him a sibling for him for 5 years. In these 7 years, my story is riddled with miscarriages, IUIs, IVF cycles, embryo transfers, multiple fertility clinics, multiple reproductive endocrinologists, so many hormones, countless tears, etc. This journey has continuously knocked me down, but I’ve found a way to get back up each time: stronger, and with stories to share. I hope what I’ve learned along the way will be helpful to you, or at least provide you with a few laughs at my expense.